Gravity Forms has become the defacto standard of form creation in WordPress. Its advantages and performance have proven themselves time and time again. Photographers are using Gravity Forms for various purposes, like booking clients and contract signing. But there's another use of Gravity Forms which should not be ignored. The plugin is extremely useful for gathering leads on landing pages, and that's why we created the contact form boilerplate. The reason we put the boilerplate together is straight forward. Photographers use landing pages to offer content specific to their target market. They then promote that page on social media through standard posts, or through advertisements like on Facebook. The form has the ability to track where the referrals are coming from. For example, on my website I have a landing page for leads to a Lightroom workflow course. The same page is promoted in various locations. Using the boilerplate I am able to gather leads and see where the are coming from, like Facebook, Twitter or Google Plus. I can also tell if the leads are organic referrals, which means a normal post, or a paid advertisement. 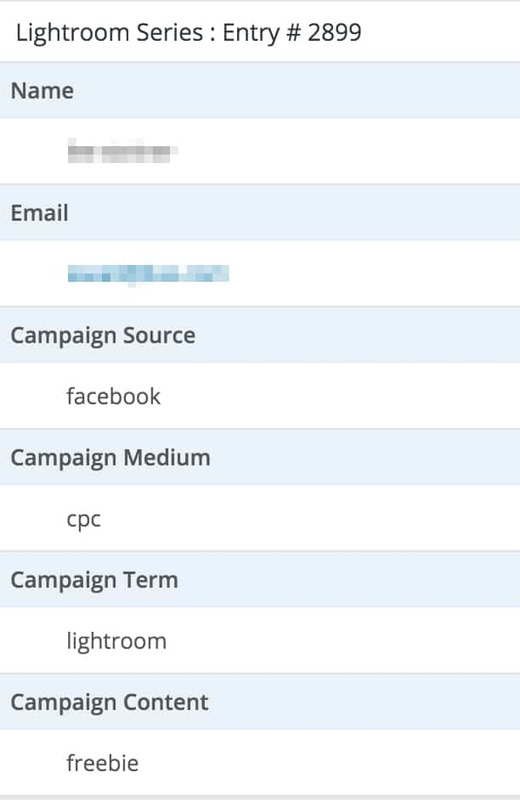 In the first screenshot you can see that the source of the referral was Facebook and the medium was cpc, or cost per click. That means it was a Facebook advertisement which referred the lead. In the second screenshot you can see the source of the referral was Google Plus and the medium was post, which means that the lead was organic, unpaid, from a standard social media post. You complete the form below and confirm your subscription. Once confirmed, you will receive an email with the boilerplate file. You go to the Gravity Forms import screen and select the file. Once imported you will have a new form ready for duplicating and editing. You then use your modified form on your website. Some photographers might be discouraged with how technical it sounds. But it's really not that technical. In fact, it's so easy it takes roughly 5 minutes to do. To make it even easier to understand we have a complete video tutorial showing the entire process from start to finish. At this point you might be wondering why use this method of a landing page with a form that tracks referrals. You could go the route of making multiple landing pages and forms, for each venue you promote the page. But then you are cluttering your pages and forms with so many duplicates. In my opinion, it's unnecessary. Using the form boilerplate gives you a head start towards creating a simplified method. Then, when promoting the page you simply create a new trackable URL and the form does the rest. Just above I mentioned that you would be creating a trackable URL for wherever you promote the page. A trackable URL is a URL which contains a series of strings that define specific things. Campaign Source defines where you are promoting the page, like Facebook or Twitter. Campaign Medium defines the style of promotion you are doing, like an advertisement or organic post. Campaign Term defines the general keyword related to the page, like wedding or engagement. This is more useful for advertisements rather than organic posts. Campaign Content defines what the page is offering, which is also more useful for advertisements. 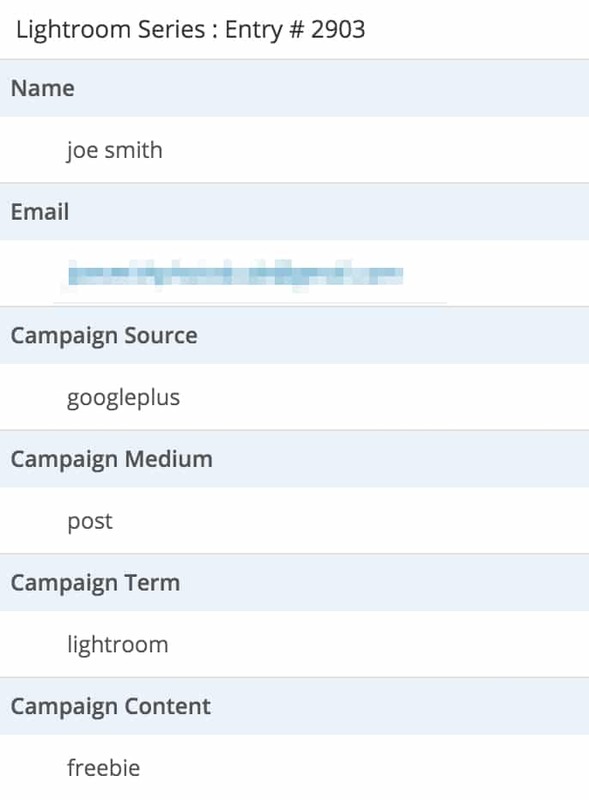 Campaign defines the name of your overall campaign. As you can see, the trackable URL contains additional strings, which are defining the items mentioned above. utm_source=facebook which says the referral is from Facebook. utm_medium=cpc which says the referral was an advertisement. utm_term=wedding which says the keyword targeted on Facebook is "wedding". utm_content=wedding%20guide which says the content promoted is a wedding guide. utm_campaign=winter%20special which says the campaign is for a winter special. Creating the URLs is actually quite simple, thanks to the URL builders. There are a few ways you can go about creating these. The first approach is a URL builder plugin for WordPress which will offer the ability to create the URLs from within your WordPress admin area. You can see the plugin here. The other ways are using the original Google URL Builder form or Facebook's version of the same form. Or use ours! Whichever approach you use, the result will be the same. The boilerplate offered here is set up like a contact form. In fact, you could use the exact form as the contact form on your website, with some minor personalized adjustments. The boilerplate can also be duplicated for use on any landing page you would like. With it you can begin the process of getting leads and tracking their referral information at the same time. Better data means better results and the ability to improve your results even more in the future. Complete the form here to download the form boilerplate. With it you will receive a video tutorial on how to get started, and see a taste of what is possible with Gravity Forms. * Requires Gravity Forms to be installed on your WordPress website.